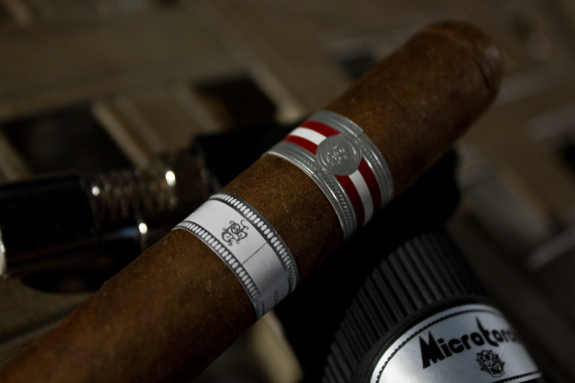 The L’Esprit de Vérité and the La Vérité cigars are part of what Pete Johnson has coined as his “Vintage” line. Now don’t think “Vintage” as in grungy jeans, think “Vintage” in terms on Wine. Just like a winery offers vintages of it’s wine (ie. 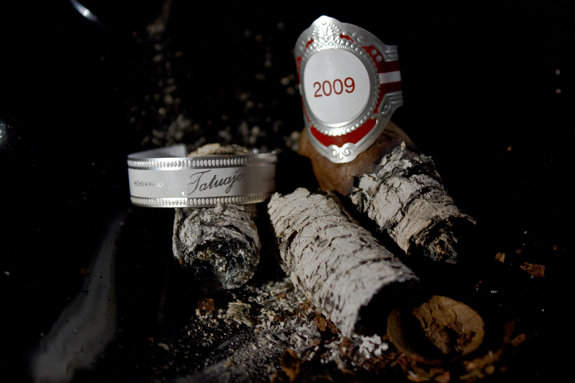 the year the grapes were grown), Tatuaje is using the same idea and applying it to their tobacco crops. So what does that mean to you and me? It means that every year will be slightly different. As you can appreciate, different weather will affect how the tobacco leaves grow and therefore will affect their flavors. The same percentage of a blend may not work as well the next year due to these subtle changes. With that knowledge, it’s also worth knowing that all the tobacco leaves also come from the same farm in Esteli Nicaragua, making each one of these a Nicaraguan Puro. 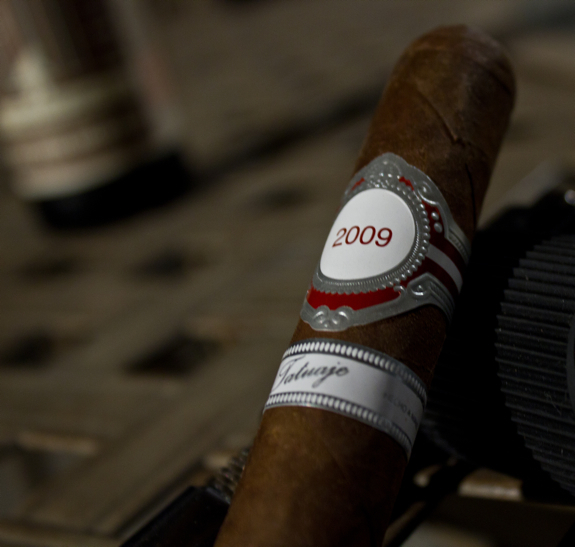 The 2009 vintage cigars were actually rolled in 2008 and aged for a year. 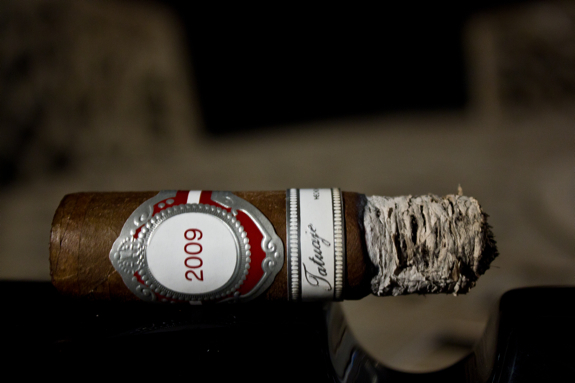 Tony also did a review on the Tatuaje L’Esprit de Vérité 2008(http://www.casasfumando.com/?p=698) last year so take a read through his review first then come back here and see how it compares. 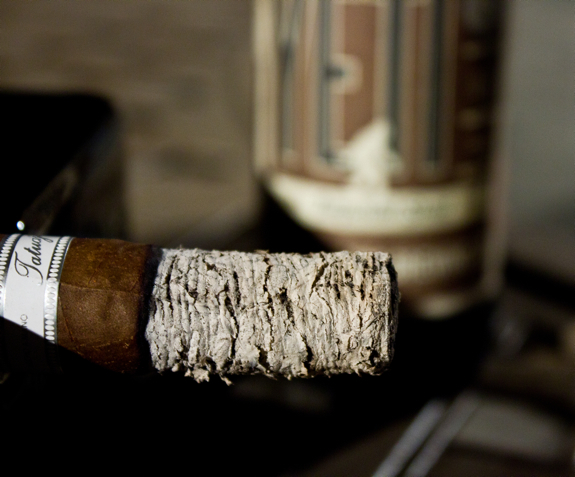 I am also reviewing the L’Esprit de Vérité vitola which is the Robusto. The other size is a Churchill and is called the La Vérité. The two words stand for “The Truth” and “The Spirit of Truth”. It’s worth noting that the blend did change from 2008 to 2009 quite a bit. 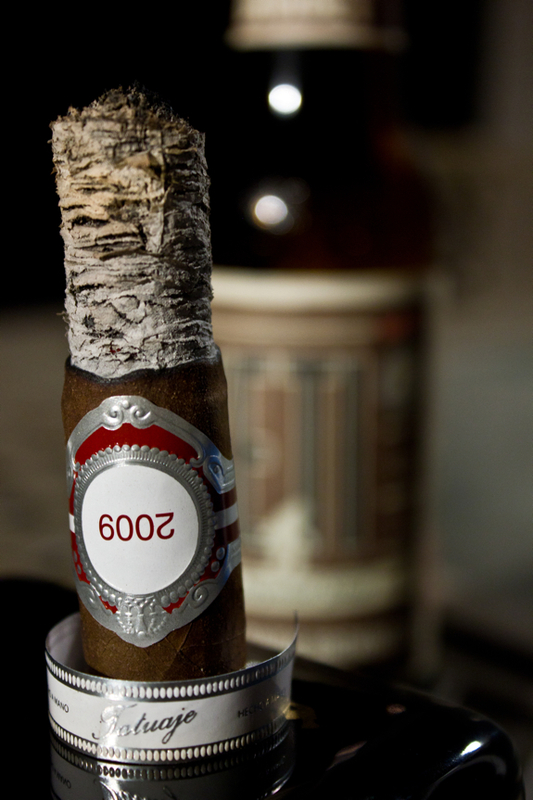 In the 2008 vintage, the cigar contained 100% Habano leaf so it was all from one type of plant. In the 2009 Vintage, there is actually a mix of 4 different leaves. In the La Vérité it’s 45% Habano, 40% Criollo ’98 and 15% Pelo De Oro. 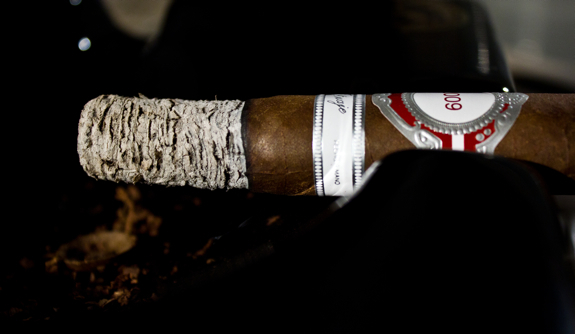 In today’s cigar, the L’Esprit de Vérité, we have 50% Habano, 40% Criollo ’98 and 10% Pelo De Oro. The difference isn’t much but it’s worth noting. Now you might raise an eyebrow at the Pelo De Oro tobacco? Thats because it’s pretty rare and the only cigars I’ve had that contained it were the My Father Le Bijou 1922 and the My Father Limited Edition 2010. To tie all that information together, it’s becomes clear when you know that this cigar was made at the My Father Cigars factory in Nicaragua. You’ll also notice the addition of a second band that just says “Tatuaje” and has Pete’s initials on the back side. So I hope that’s not too much info but I found it pretty interesting to hear the history of this cigar. If I haven’t lost you yet or you just skipped to the last paragraph cause my rambling looked long, let’s just get right into the actual review! This was a very enjoyable smoking experience from start to end. The flavors were tasty, consistent and well balanced from start to finish. 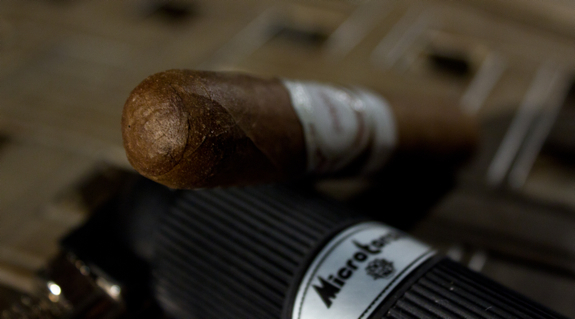 Although there was nothing that jumped out of this cigar it all molded together to make a great smoke. The construction was fantastic, it burned exceptionally and the price is well placed among limited edition cigars (although this is still high for the average consumer). It also let me enjoy it right to the nub with no issues at all. 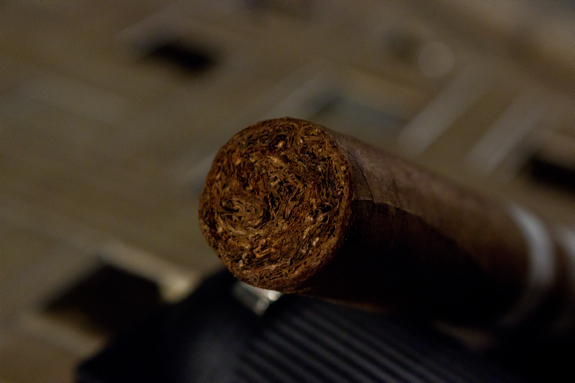 What probably surprised me the most about this cigar was its easy smoking profile. It had a smooth and relaxingly creamy profile from end to end. This was unexpected for me as I’ve come to know a blast of pepper and spice from a lot of Tatuaje cigars. This is definitely not a bad thing, I really enjoyed what this cigar had to offer and it’s good to see something a little different in the Tatuaje inventory. I’d highly recommend grabbing a few of these before the 2009’s are sold out. 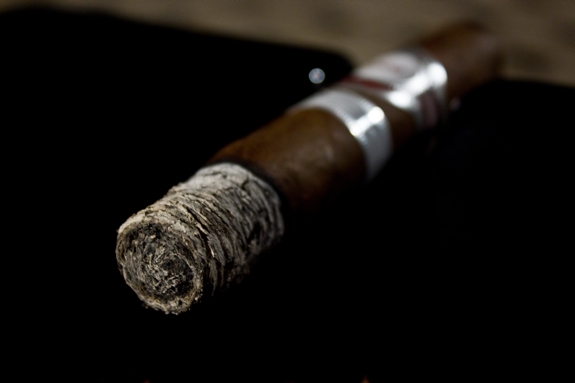 I can’t really say anything negative about this cigar, I will definitely be seeking out some more for my humidor. Today we have one a brew from the Great Divide Brewing Co. and it’s called the Yeti Imperial Stout. The brewery hails from Denver Colorado and I think this is the first beer I’ve had from that state. We actually don’t get any brews from Great Divide up here in Ontario so this is another one I picked up while down in Florida. The stout is very full and thick, it coats your whole palate and the flavors linger long after. From each sip I get a strong malty coffee flavor with some dark chocolate thrown in the mix. It’s really a great stout and I enjoyed it. 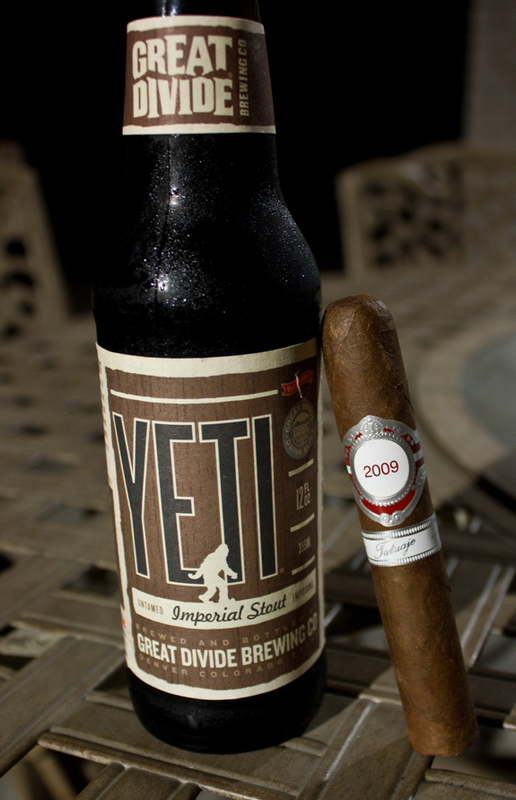 As for the pairing, I think the brew overpowered the cigar a bit. The cigar has some great flavors but it was not full bodied or overpowering so possibly a dark beer may have played nicer and allowed you to enjoy the flavors the cigar had to offer. I also think a cup of coffee would be a great pairing. 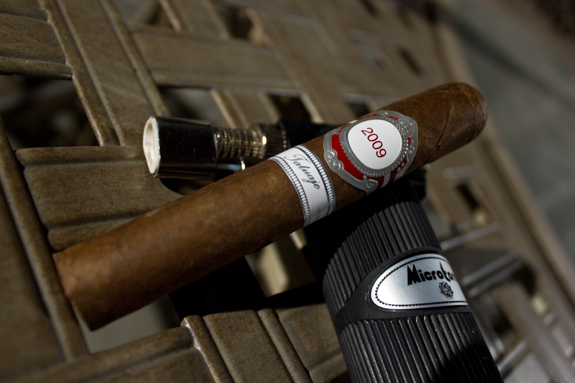 Even water would go well with the smooth profile of the Tatuaje L’Esprit de Vérité 2009. Great as usual Dan, I have a very limited knowledge of all Tat, products I have only had two the Havana and the White Lable “P” I think its called, both were good sticks this looks like their top of the line product here, althought to be honest I don’t see me dropping a 20 spot on them they seem like they would be a great stick. My local has yet to get these…. I think they didn’t sell the ’08’s well enough…. At 20 bucks a pop it is a pretty exclusive crowd. I will definitely need to find these as I really enjoyed the earlir ones. Great review! It seems a lot of online retailers still have stock of these so it shouldn’t be too hard to track down a few. I was lucky enough to try the ’08 from the box pass we did a little while ago. This one was very different, but in a good way. Definitely worth trying, even just to see how the blend has changed this year. Awesome review dude, and thank you, ever so much for sending one of these my way. My thoughts were right in line with yours. Nothing really stood out on this cigar, but the overall experience was impressive. Even at $20 a pop I’d smoke this again. Maybe not everyday, but having a few of them lying around would be nice. Also, High-Five on the beer! Beer was darn good but it was a bad selection for this cigar. I was REALLY expecting a burst of spice or something from a Tat so that was a big surprise. By the way. I absolutely love the secondary band. So elegant. 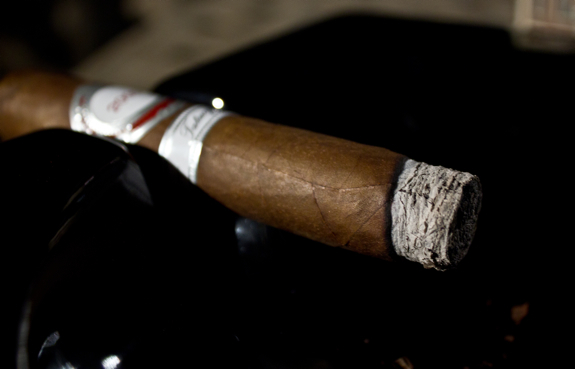 Ho-hum… another great review of a great cigar. You guys are gonna have to start posting some crappy work so that we don’t get jaded. LOL! Nice review as always. I’m kicking myself for not getting in on the futures of this cigar when they went up for sale just to cut the sticker price down. At any rate, I will definitely have to splurge and treat myself to one of these just because of my curiosity after having the 2008 offering.